With fitness getting importance of late, Swipe has now launched the FBand fitness tracker in India with a stylish design. Swipe has announced the launch of the Swipe FBand, which is the company’s first fitness tracking device. The device monitors your fitness by tracking your health and sleep. It tracks the number of steps walked, calories burned and hours of sleep. All the tracked info is shown on the small round display. 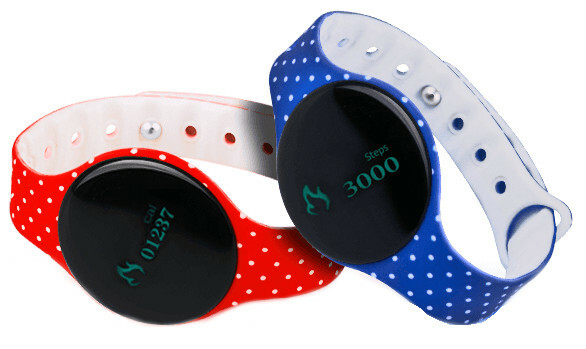 Besides tracking fitness, the Swipe FBand has silent vibration alarm and also vibrates to notify you when you receive a call. The tracker is priced at Rs. 1499 and is available exclusively on Snapdeal in Blue and Red colour options. First 100 customers can get the fitness band at an offer price of Rs 1299.